Contemporary Issues in Accounting is written for upper level, advanced financial accounting subjects. 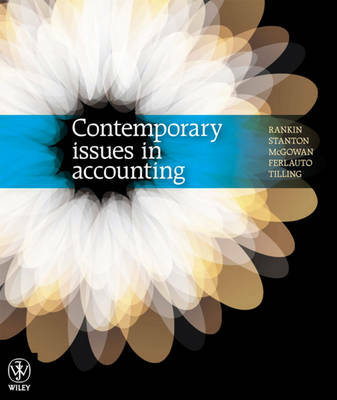 The text explores advanced accounting concepts and policies by applying them to a range of contemporary accounting issues. The accounting topics discussed reflect the issues that are being considered in professional practice such as approaches to measurement, fair value accounting, the Conceptual Framework for financial reporting, corporate governance, environmental accounting and sustainability, earnings management and the financial indicators of corporate collapse. The practical orientation of the text makes it ideal for a capstone subject whereby students can use their accounting knowledge attained during their studies to discuss, analyse and critically evaluate a range of issues they are likely to deal with once they enter the profession.